I am so excited to have author Carole Brown with me today. This is her second visit to my blog. I interviewed her in October 2013 when her novel The Redemption of Caralynn Hayman was released. With Music in Their Heart is different in a number of ways but the strands of excellence and adventure run through both of them. For those of you who missed my previous blog post where I introduced this exciting book click here. Carole, welcome to Writer’s Patchwork and thank you for taking the time from your busy writing schedule to visit. First I have to ask, what sparked the idea of WWII spies? More specifically, spies on American soil? First, we had an elderly gentleman who wrote a self-published small book about a man who served as a civilian spy during WWII. It was said, that HE was the spy, but he never confirmed or denied it. Still his basic thought made for a great plot for my With Music in Their Hearts! Secondly, I wanted a story with a heroine that honored my mother, and when I began this novel, I used my mother’s name, Emma Jane (Jaine, in the book). Mother never especially liked her name, but I love it and think it fits my female protagonist perfectly. Mostly the internet, although books and people comprise some of my research too. I love having the information at my finger tips but interacting with individuals is something personal and interesting that is quite rewarding, especially when he or she has intimate information from their own memories or family history. I found a pastor as a spy very intriguing. Why a pastor? Why not? ☺ Pastors are people too with desires to matter and do “great” things. Seriously, the basic idea stemmed from the answer to your first question. But the question begs to be answered: How would HE handle it? Especially as devoted to God and the church as Tyrell is. Would he stride-for-stride be as brave, as forceful, as smart as his FBI cousin and best friend, Ben Hardy? It was an unusual situation that created a difficult situation for a man in a position most people would consider to be a job that is mild and peace-loving. What people forget (at times, I think) is that ministers have strong feelings about loyalty and faith and right and wrong. That’s why Tyrell felt pulled between disgust and compassion for Hank, one of the boarders. And to put a godly man in a secret position to spy on people he also needed to minister to–oh, my, what intrigue! As I wrote my interview I felt like I was in the middle of an old black and white movie watching the story unfold. Loved the dialogue-so true to the time. How did you keep the dialogue and character interaction circa 1941 without interjecting 21st century jargon and mindset? Carefulness. I’ve listened to a lot of talk from that era in many avenues. I’ve studied sites with lots of phrases and words, and read books. Then there’s always my imagination. Somehow I can usually picture the actions and moves of the characters and even “hear” their conversations. The more I wrote, the more I edited, the more I “lived” then. I immersed myself in that time period until I could “hear” the characters talking as they should. Emma Jaine and her sisters represented the young people growing up in 1940s America so well. You mentioned the main character has your mother’s name. Did you use some of your family’s stories as a basis for your characters’ everyday activities? Perhaps you had a spy in your clan? Were any of the boarders based on actual people? Sort of. 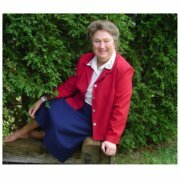 My mother’s stories of her life, jobs and the struggles during the war period. The pictures are wonderful and transported me straight back into those early war days. Lol, about the spy in my ancestors’ lives. Who knows? I’ve never heard of any, but that’s not saying there wasn’t. Spies have always interested me. It’s hard to separate “good” spies from the “bad” ones, because we’ve all heard of the things they have to do and be involved in at times. How many times can you lie your way out of a mishap or lie your way into a situation? Will your conscience allow you to even go as far as some go? All those questions and more complicate matters even more so when I plopped a pastor into the role. Carole, your writing is always stellar. Tell us a little about your journey to becoming a multi-published author. Thank you, Cindy! I appreciate that. About three years ago, I was on the verge of quitting–totally and completely. It was the first time I had ever sunk so low into despair and discouragement with my writing. Little did I know, that God had a plan, and my feelings were part of it. I’ll try to be brief. I’ve written for years, but not seriously as a career fiction author. When I got back into it, I dived in head first, re-learning everything I needed to know: critique partners, conferences, workshops. I attained an agent, submitted to contests and editors. I did my homework, and gradually developed my own style. But the year I sank low, I had had enough of a million (well, it did feel like it!) rejections. A dear older friend sat me down, figuratively, and said, God gave me this talent. I needed to trust him and keep writing. It wasn’t easy, and I still had little faith, but I plastered those words across my computer screen and dug in deeper. I finished, The Redemption of Caralynne Hayman and submitted it to The Lighthouse of the Carolinas Publishing House at their request, was accepted, and rest is history. Now, I have three books out, with more on the way in months. God has blest me immensely, and I truly, truly feel humbled by his love to me for allowing me to have this talent and joy in knowing I’m an author. Before we close this delightful interview, do you have any last minute thoughts to add? Don’t forget to mention upcoming books, your website and any other ways we can contact you. I’d just like to encourage any writers out there, to never quit. Seek and discover the writing journey God has for YOU, then follow his plan. Only when we submit to his best plans for US do we find true satisfaction and peace. The second book in my mystery series, Bat Crazy, is scheduled for release late winter. I’m working and hoping to have a late 1800s light suspense book ready soon too. (Caleb’s Destiny). I’m striving to finish the second book in The Spies Series: A Flute in the Willows, for publication late next year. And I always have others on a back burner to work on as I have time. Thanks so much, Cindy, for allowing me to share a little. It’s been fun answering these questions. It has been my pleasure. Let me give you a hug before we part and add you are an inspiration to struggling writers. Thanks so much for stopping by. A few more things you may not know about Carole Brown and how to follow her. 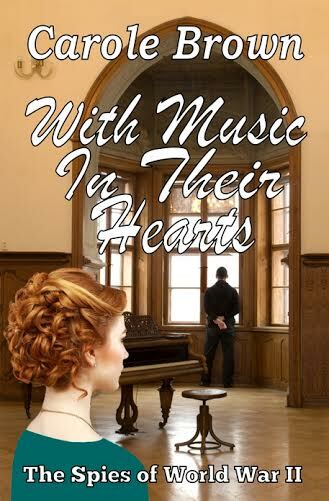 Carole is giving away a copy of With Music In Their Heart to one lucky commenter. You can choose either paperback or e-book. This is a wonderful gift for the bookworm on your Christmas list. We will draw the winner on Friday.